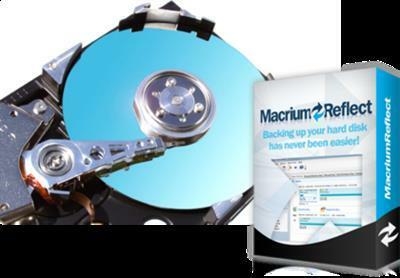 Macrium Reflect Professional Edition is an advanced and efficient application that can assist you in creating compressed backup files of your most important data, with very little effort on your part. The program can easily backup entire computer partitions, or just selected files and folders, turning them into an archive which can be mounted in case you experience data loss, or you just want to copy large amounts of information in just a few moves. No need to shut down Windows to create a complete disk image of your PC. Advanced users can use the VBScript scripting language for complex backup scenarios. You can create full, differential or incremental images to optimize backup speed and disk space requirements. Includes the latest Microsoft Windows Recovery Environment for maximum hardware compatibility and effortless restore.